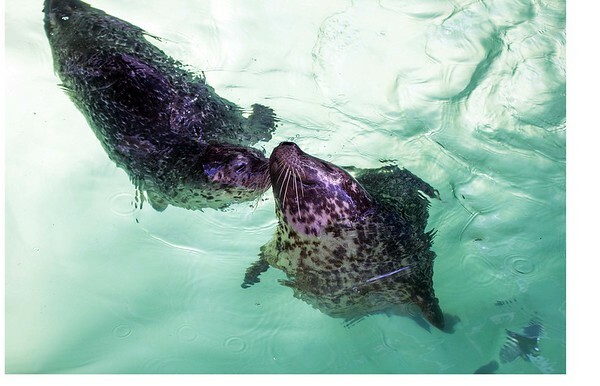 The Aquarium of Niagara's 3-week-old harbor seal pup is a girl. The pup, left, kisses her mom, Zoey, after the aquarium announced her gender Thursday morning. She hadher first vet visit this week. She weighs 46 pounds and is completely healthy.